It’s still in the 90s here in Sacramento. But because I’m stubborn (and in denial) I’ve been rocking my boots, flannels and leggings and sweating profusely while doing so… only until I crank up the AC in October(!!!) and then I feel a little more fall-ish. I’ve lit pumpkin candles around the house. I’ve purchased logs of wood for fires. I’ve even draped throw blankets back on over the couches to invite fall into Sacramento. But it’s still Daisy-Duke weather and I’m about to lose it. Preheat oven to 350 degrees F. Liberally grease a 9" loaf pan with cooking spray and set aside. Meanwhile, in a bowl combine all of the above bread ingredients and beat at medium speed with a handheld mixer, scraping down the sides of the bowl, until well-mixed. Pour the bread mixture into the prepared pan. Bake for approx. 40-50 minutes or until a toothpick inserted near the center comes out mostly clean or with a couple moist crumbs (not wet). Cool for about 15 minutes, then very gently remove from pan and transfer to a wire rack to cool completely. While bread cools, make your glaze: in a small saucepan, heat butter over medium-low heat until melted. Continue cooking, watching butter carefully, until it sizzles and begins to turn amber in color, about 4-5 minutes. Do not overcook because it can quickly burn! When butter looks caramel-colored and smells kind of nutty, it's done. Remove butter from heat and cool completely. Then stir in the powdered sugar and maple syrup until a soft glaze has formed. 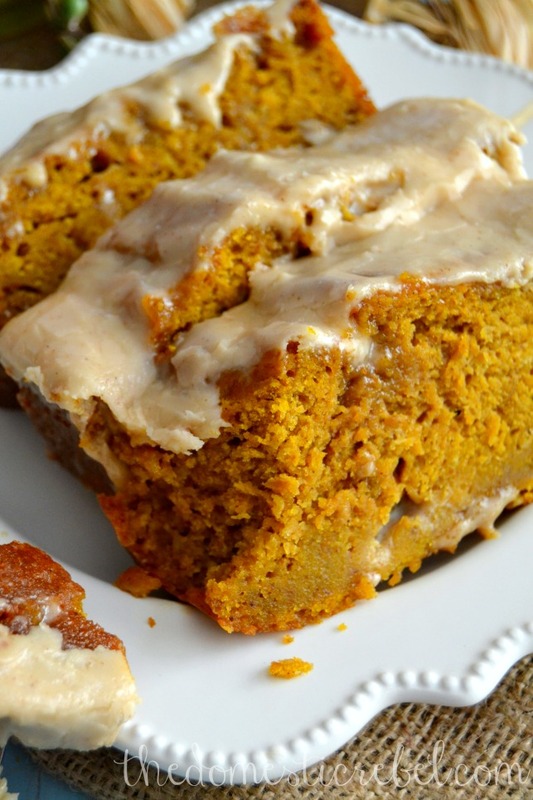 Pour the glaze generously over top of the pumpkin loaf and let it set, about 30 minutes. Cut into slices and serve! 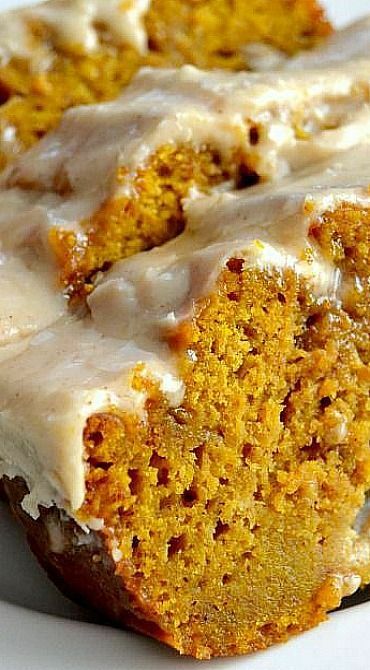 0 Response to "The BEST Pumpkin Bread with Brown Butter Maple Icing"